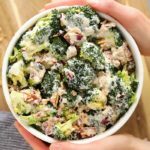 This Healthy Broccoli Salad with Bacon is a classic midwestern side salad with a healthier twist! 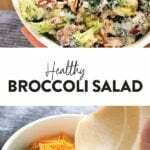 Not only does this broccoli salad make a great side dish for any picnic, but it is a great salad to add to your meal prep menu for the week. It is packed with veggies, protein, and has the tastiest creamy sauce. 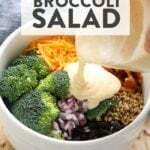 Make this broccoli salad today! 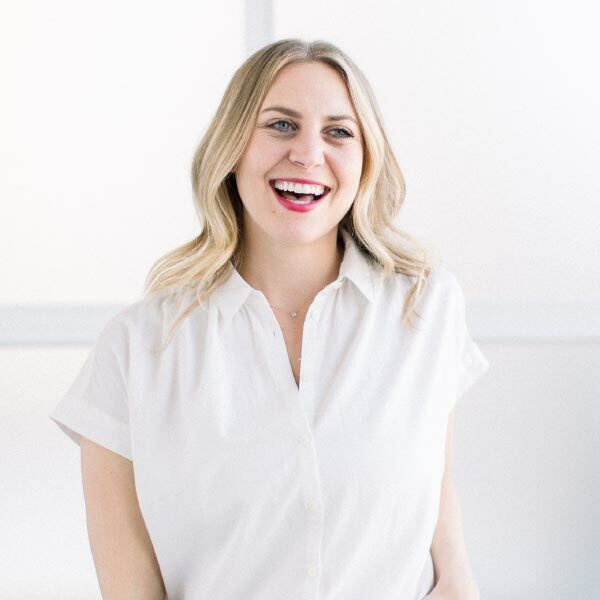 If you are new to Fit Foodie Finds, welcome! 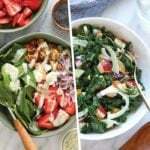 If you are a long time Fit Foodie follower, you know that we love salad recipes. However, many of the salads on Fit Foodie Finds are not your traditional green salad recipes. We love making “salads” that are packed with vegetables, but not just your average romaine lettuce salad with dressing. 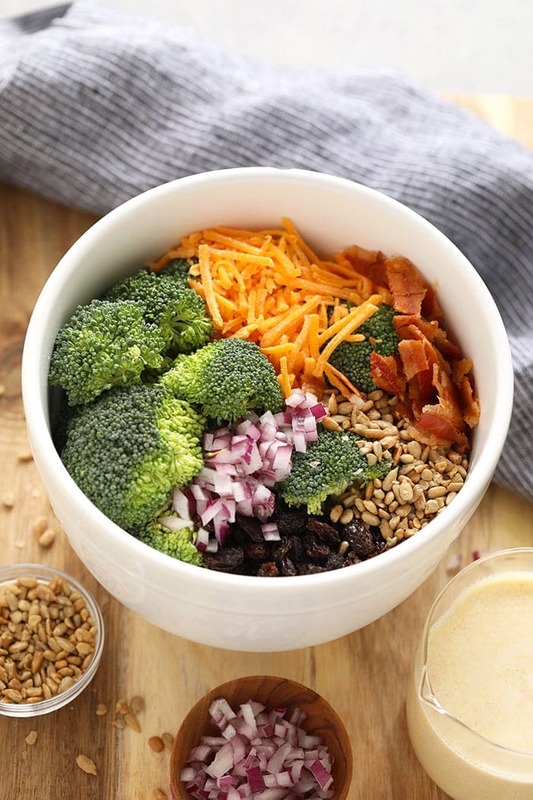 This broccoli salad has a base of vegetables with a twist of protein fun- BACON. The three of us grew up in the midwest where broccoli salad was a must have at any social gathering and almost every salad bar in Wisconsin and Minnesota will have their own version of broccoli salad. Generally, it is packed with mayonnaise and white sugar. 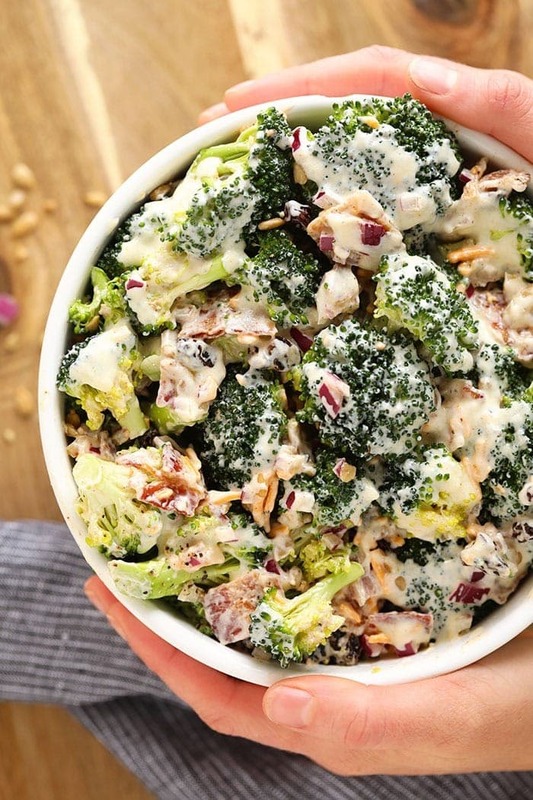 Today we are sharing a healthier version of broccoli salad and we are kind of obsessed. You’d be surprised how delicious a broccoli salad can be. We are such big broccoli salad fans that we also developed this Asian Broccoli Salad recipe. You should for sure check it out, too! If you are in a pinch, this healthy broccoli salad can be ready in under an hour! If you are bringing it to a picnic, you may want to double the recipe. If you are meal prepping this healthy broccoli salad we recommending prepping one of the main dishes below as well! 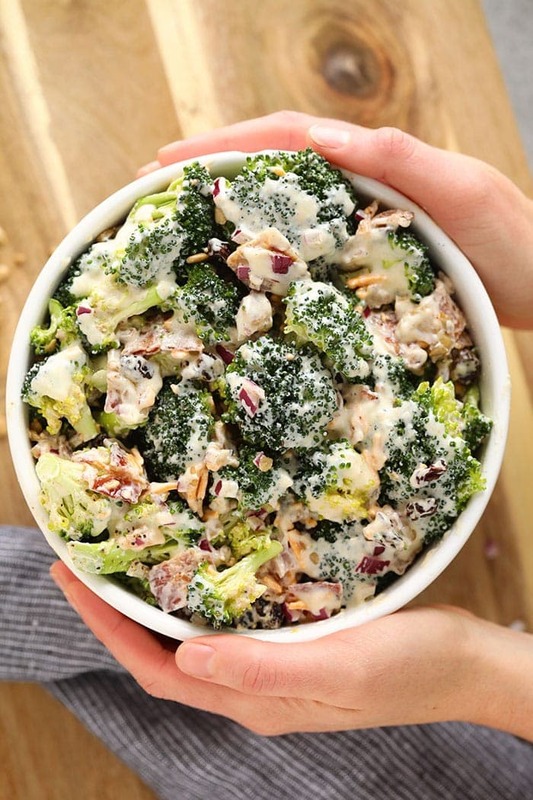 Once you have you have decided on your BBQ menu or your meal prepping menu for the week, mixing up this broccoli salad with bacon is super simple! There are two parts to this salad, the creamy broccoli salad sauce and the broccoli salad itself. Let’s dig a little deeper, shall we? The broccoli salad is a classic recipe with a healthy twist. 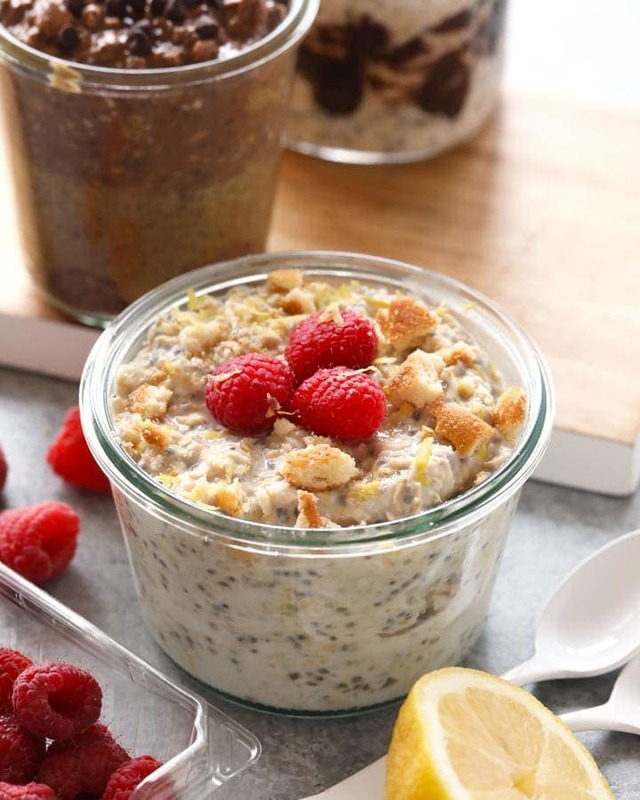 We stuck with traditional broccoli salad ingredients, but feel free to substitute any of the ingredients with your favorite nuts, seeds, or dried fruit! Here are the broccoli salad ingredients..
First, prepare bacon by following our How to Cook Bacon in the Oven. 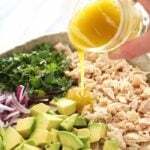 Then, place all ingredients for the dressing into a medium bowl and whisk until all ingredients are combined. Set aside. 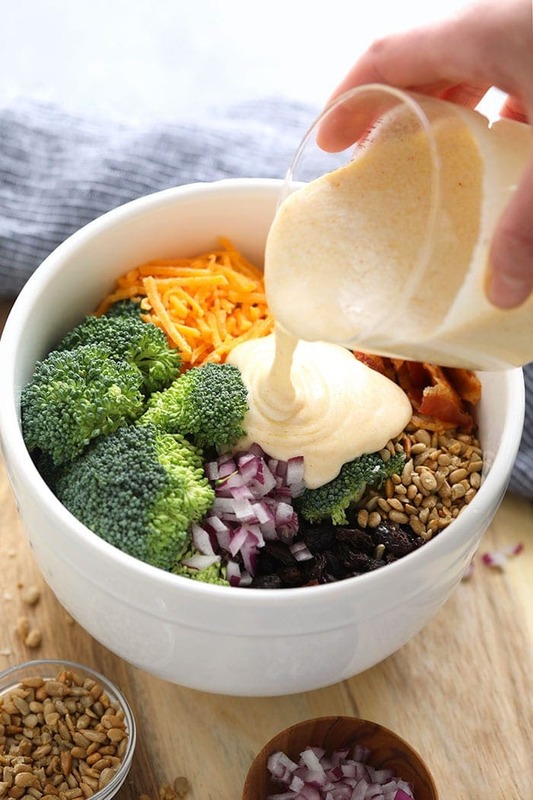 Next, place all ingredients for the broccoli salad into a large bowl and pour dressing over salad ingredients. 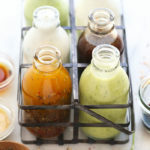 Mix well and be sure that all ingredients are coated in the dressing.